Albert Finney, a versatile British actor who starred in plays by Shakespeare and Chekhov and in movies with Audrey Hepburn, Julia Roberts and Matt Damon for more than five decades, has died. He was 82. He died following a short illness, the Associated Press reported, citing the actor's family. No cause was given. He burst into screen stardom with 1963's "Tom Jones,'' carousing at banquet tables and in maidens' bedrooms alike. The picture yielded the first of five Academy Award nominations, though he never won. Finney directed and starred in "Charlie Bubbles'' in 1967, playing a writer unhappy with success and his marriage. He also was Hepburn's grumpy husband in "Two for the Road'' that year. He performed more Shakespeare at the Old Vic in London and got Tony nominations for "Luther'' and "A Day in the Death of Joe Egg'' on Broadway. In 1974, he took on weight and a waxed mustache to play Agatha Christie's Belgian detective Hercule Poirot in "Murder on the Orient Express.'' Though he earned an Oscar nomination, Finney refused to play Poirot again, saying he had been typecast. It proved a needless concern. Ridley Scott directed him in the Napoleonic war film "The Duellists'' (1977); Alan Parker sought him in the 1982 tearjerker "Shoot the Moon," and John Huston cast Finney in two pictures that showcased his diversity: "Annie'' (1982), in which Finney sang, hoofed and rumbled as Daddy Warbucks, and in "Under the Volcano'' (1984) as the alcoholic consul staggering to his death, in an Oscar-nominated performance. In "The Dresser" (1983), Finney played an egotistical old actor who leads his Shakespearean troupe through England's bombed-out provinces in World War II. He and co-star Tom Courtenay were Oscar nominees, but lost out to Robert Duvall. Finney gained an Oscar nomination as a supporting actor in the 2000 film "Erin Brockovich," starring Roberts. He then played the role of a psychologist in "The Bourne Ultimatum," starring Damon. Albert Finney was born on May 9, 1936, in the northern English city of Salford, a borough of Manchester. His father was a bookmaker and his mother a homemaker. He won an Emmy award for his portrayal of Winston Churchill in the 2002 TV movie "The Gathering Storm," based on the former prime minister's memoir of the years leading to and including World War II. Finney rejected two honors that the U.K. tried to bestow: Companion of the British Empire in 1980 and a knighthood in 2000, saying the honors system " perpetuates snobbery," according to a Sunday Times report in 2003. Finney married English actress Jane Wenham in 1957 and the couple divorced four years later. They had one child, Simon. 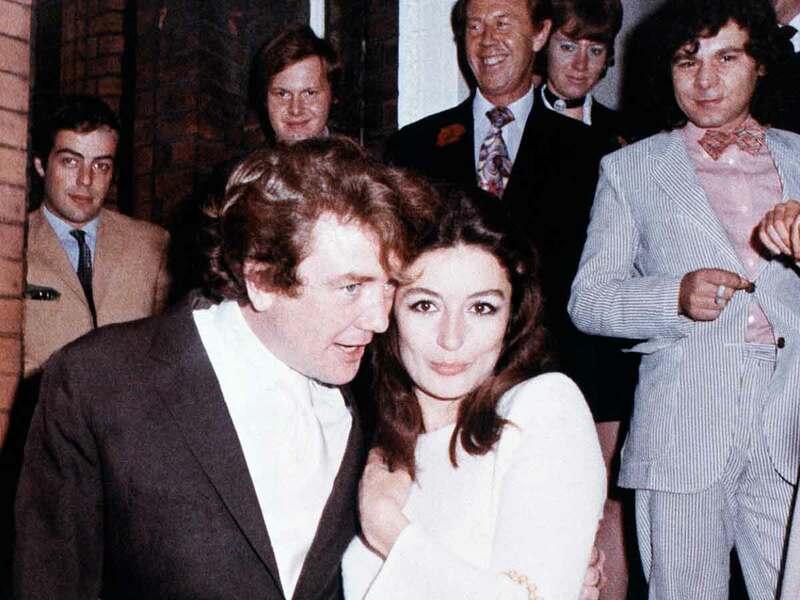 Finney was married to actress Anouk Aimee from 1970 to 1978. In 2006, he married the former Pene Delmage, according to Internet Movie Database.